For all of you in North America, Get ready to get your game on as Nintendo America have announced not one but TWO Nationwide tournaments for gamers to participate in. 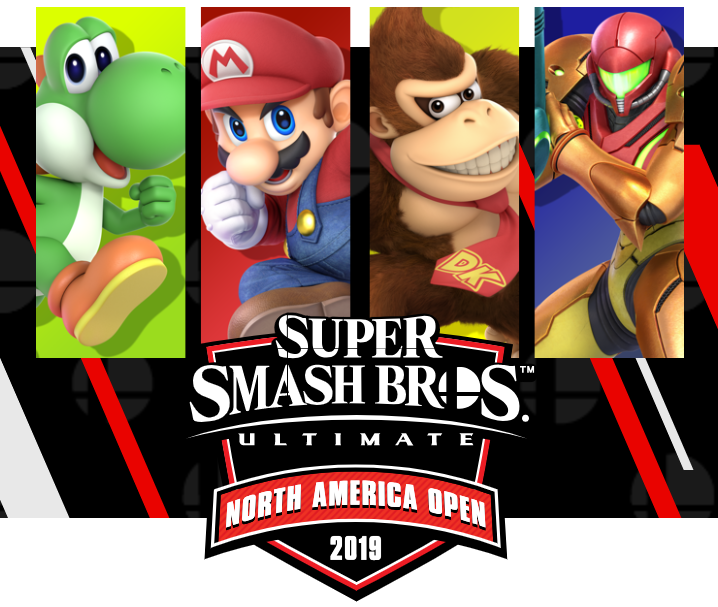 Show the world your competitive side in the Splatoon 2 North America Inkling Open 2019 or the Super Smash Bros Ultimate Open 2019. You can find more details in the official announcement below. Splatoon 2 North America Inkling Open 2019: NO PURCHASE NECESSARY. Open to legal residents of the US, Canada, and Mexico who are age 13+ (18+ for Mexico) and have access to a Nintendo Switch system, Splatoon 2 game, reliable high-speed internet connection and Nintendo Switch Online membership. Registration Period from 1/22/19 to 2/10/19 at 9:00AM PT. Qualifier/Ink Pools Period begins 2/10/19 at 11:00AM PT. To participate, register at battlefy.com/splatoon. Qualifier Finals begins 3/2/19 at 9:00AM PT. Each member of the top 4 Teams in Qualifier Finals will win a prize consisting of a slot to compete in the Final Event, scheduled to take place on 3/30/19 at 11:00AM PT at the PAX Arena in Boston, MA, daily PAX badges, 3 nights lodging, and round-trip airfare (ARV $2,311 each). For a Team to get the prize, at least 4 players on the Team must agree to participate in the Final Event. Each member of the first place winning Team of the Final Event will get a collectible item (ARV $500 each). Skill of participating players determines the winner(s). See Official Rules for details and restrictions. https://www.nintendo.com/switch/events/splatoon2-naio-2019-official-rules/. Sponsor: Nintendo of America Inc., 4600 150th Ave NE, Redmond, WA 98052. Super Smash Bros. Ultimate North America Open 2019 : NO PURCHASE NECESSARY. Open to legal residents of the US, Canada, and Mexico who are age 13+ (18+ for Mexico) and have access to a Nintendo Switch system, Super Smash Brothers Ultimate game, reliable high-speed internet connection, and a Nintendo Switch Online membership. Registration Period begins 1/22/19 and ends 3/9/19 at 9:00AM PT. Online Events held at 9:00AM PT on 2/2/19, 2/16/19, and 3/9/19. To participate, register at battlefy.com/supersmashbros2019. Each of the 12 winners will receive a prize consisting of a slot to compete in the Final Event to be held 3/30/19 at the PAX Arena in Boston, MA, daily PAX badges, 3 nights lodging, and round-trip airfare (ARV $2,311 each). To receive the prize, winner must agree to participate in the Final Event. Final Event will be a team competition; each member of the first place team of the Final Event will get a collectible item (ARV $500 each). Skill of participating players determines the winner(s). See Official Rules for details and restrictions. https://www.nintendo.com/switch/events/ssbu-nao-2019-official-rules/ Sponsor: Nintendo of America Inc., 4600 150th Ave NE, Redmond, WA 98052. I’m going to follow these tournaments. I just hope that these will be worth watching and that every match will send me on the edge of my seat. This reminded me of the Splatoon 2 World Inkling Invitational – Grand Finals back in 2017. It was an awesome match between USA and Japan but USA came out on top in the end. They will certainly be a treat to watch. The players are extremely competitive and really know how to put on a show.